This week, we had another Thanksgiving, a prison break, bonding moments, and people realizing how far they will go. 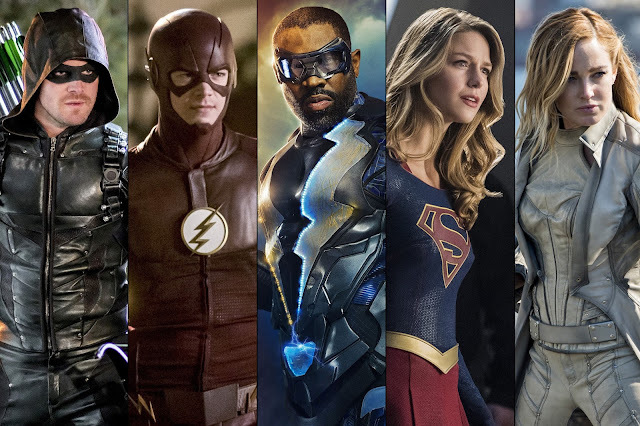 A full slate of DC CW shows to feast our eyes on, with one episode in particular becoming an instant masterpiece. 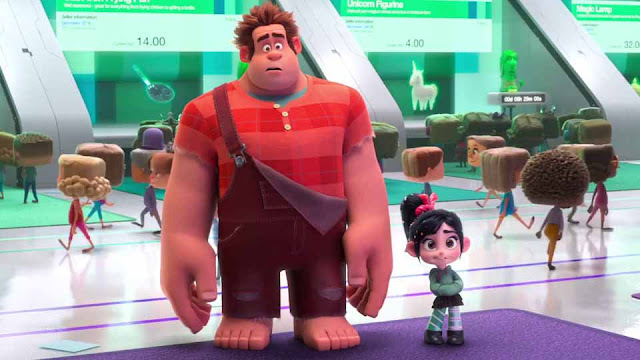 Sequels are a tough business, and while a sequel to Wreck It Ralph felt inevitable due to the success of the first one, there was no word on it for some time. But then it happened, and Ralph Breaks The Internet became a great addition to the franchise. There will be spoilers from here on out. Hot off the heels of Kerblam! Doctor Who shows what its capable of by giving us an adventure that couldn't be more different. From the biggest store in the universe, to a witch hunt with King James. "The Witchfinders" had stakes, emotion, and an interesting alien race. The Arrowverse celebrated Thanksgiving, which is fitting because some old friends returned. There were relationships tested to the max too. This was one of the strongest weeks of shows, since there really wasn't a weak one in the bunch. The Harry Potter stories are very important to me. They helped shape me, like Star Wars, Doctor Who and superheroes. So naturally I wanted more of that world. But everything outside of the base Potter story has been a disappointment so far. 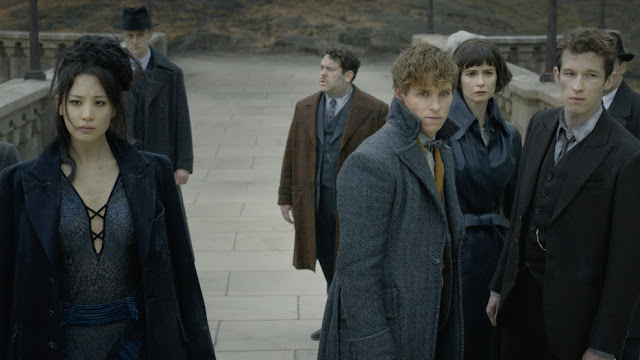 Fantastic Beasts: The Crimes Of Grindelwald is no exception. It might be one of the most insulting additions to the Potter franchise in fact. There will be SPOILERS throughout. I'll say this right up front: The Crimes Of Grindelwald is nowhere near as bad as Harry Potter And The Cursed Child. The Cursed Child took the canon and put it through a meat grinder, and then blasted the millions of pieces into space where they all individually suffocated, before disappearing completely. The Crimes Of Grindelwald is merely guilty of taking the canon, beating to an inch of its life, and then leaving for dead in the ally. Every season has at least one episode that feels like it could fit into any era of the show's rich history. "Kerblam!" is that episode for season 11. It had an Eccleston-era feel, yet it is easy to imagine David Tennant, Matt Smith or Peter Capaldi starring too. 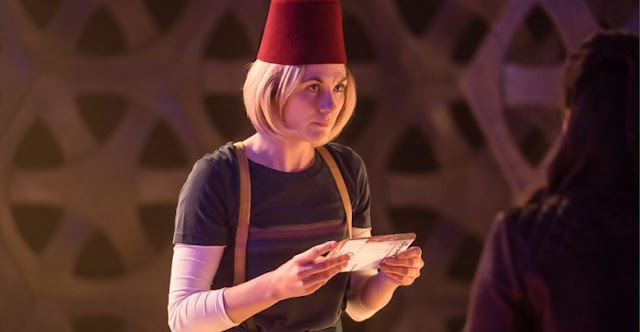 It even feels like you could have sneaked this into the Sylvester McCoy era. That alone makes this one of the better episodes of the season. This week we had a full slate again! A slate that included two Gotham City references, a drunk cyborg, and an inadvertent Stan Lee tribute. The episodes were very strong this week, making it one of the best that the Arrowverse has seen. 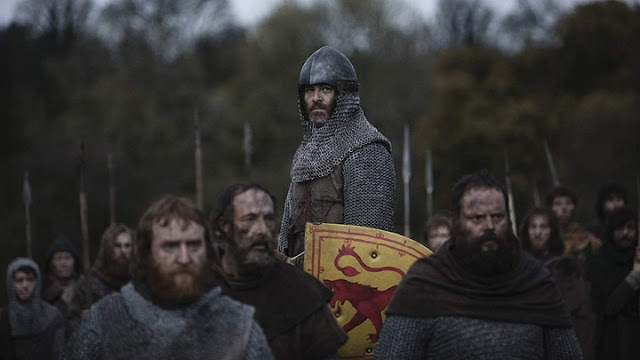 Outlaw King is Netflix's newest film. It serves as a spiritual sequel to Braveheart in a way. Chris Pine's turn as Robert The Bruce is a visually sensational tale based off a true story. Sometimes Doctor Who reminds us that human beings can be the worst monsters that the universe has to offer. 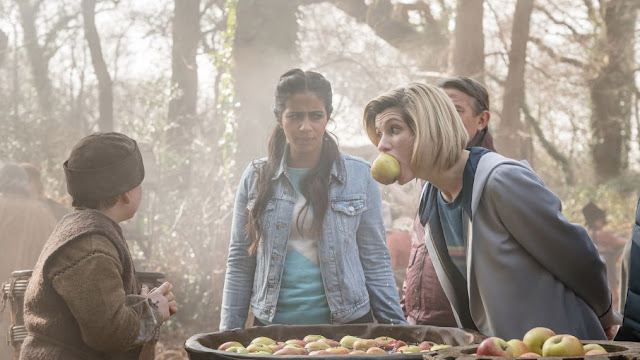 "Demons Of The Punjab" - written by Vinay Patel (and the first episode of the season not to be written or co-written by Chris Chibnall) demonstrates that very effectively. 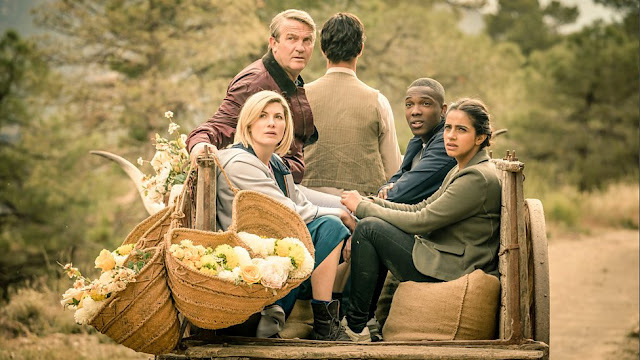 You can read all of my reviews for this season of Doctor Whoright here. While The Flash and Black Lightning took the week off so you could vote, we had a ton of stuff this week. Beebo returned on TWO shows, we had a shapeshifter and some daddy issues. Below are my thoughts and musings on each episode that aired this week. This week had the Doctor and her friends stranded on a spaceship with an alien destroying the ship. That's classic Doctor Who! Even though the plot was welcome, there are a lot of little things that added up to make "The Tsuranga Conundrum" a mostly forgettable episode.